Beating the heat at the 2015 Arizona Quilt Show! It's already 95°F in Arizona... but, as they say, it's a dry heat! 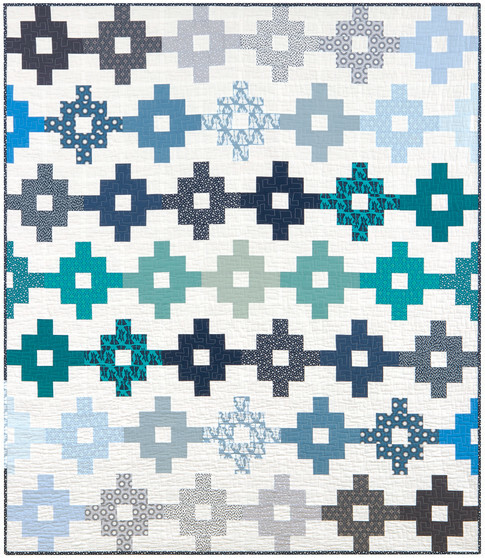 Moreover, it's the perfect occasion to enjoy an air-conditioned quilt show. This is our 5th year of attendance, and we always look forward to seeing the variety and creativity displayed by members of the Arizona Quilters' Guild. 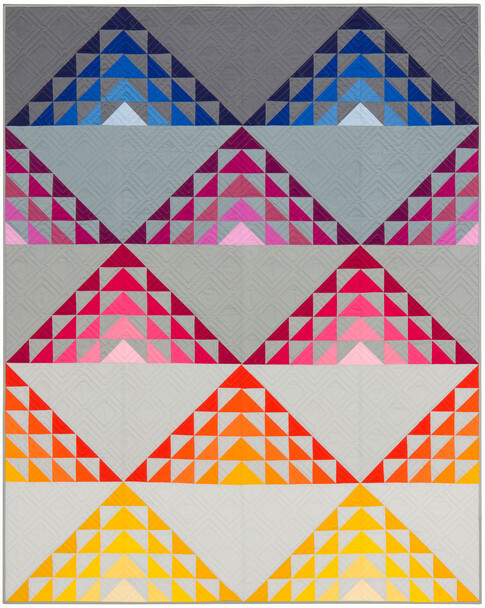 Let's beat the heat with a look at this year's fantastic quilts! Here is part 1 of our virtual show. We can't imagine the number of hours that must have gone into this masterpiece; it's no wonder this quilt won the top award at the show. 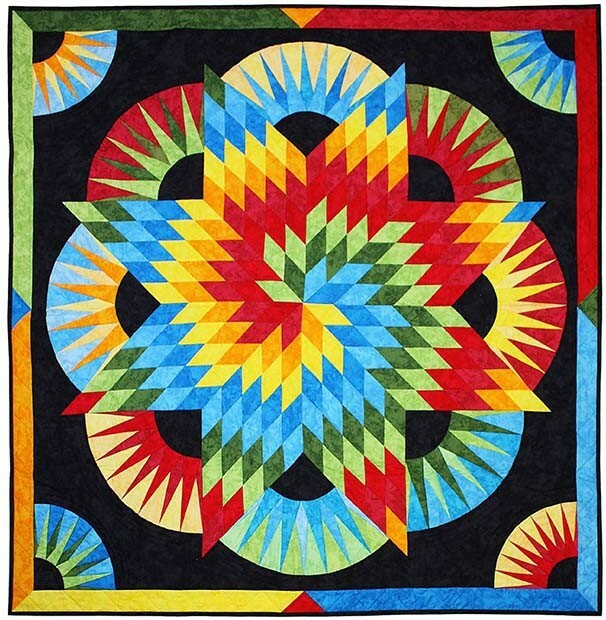 This showstopper won the Arizona Quilters Hall of Fame award, which is presented each year to a quilt deemed worthy of special recognition. A photo of Sedona, Arizona, was first divided into 6 equal vertical pieces. Each piece was made into a quilt by a different person, and then the finished quilted panels were sewn together. Textures were created with printed/dyed fabric and thread painting. The fabrics perfectly captured the colors of the bright blue sky, red rocks and green trees we associate with the landscape surrounding Sedona, Arizona. 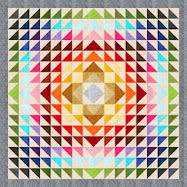 First Place winner in the pieced-small quilt category, the colors of this quilt capture the colors of the high desert. 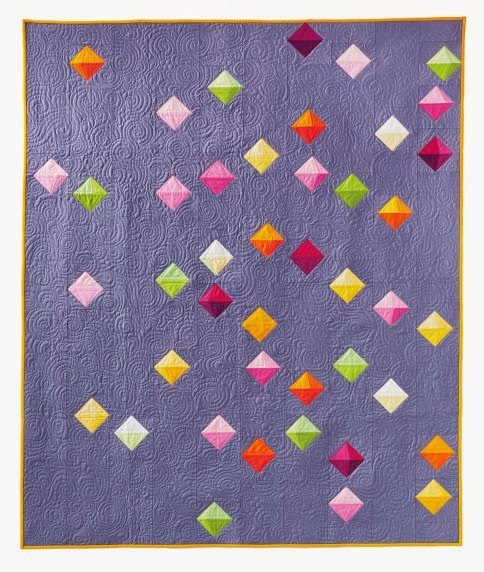 Ann Gonzalez says, "My daughter and I designed and pieced this quilt for the 2013 Hoffman Challenge, where it received first place for use of challenge fabric." 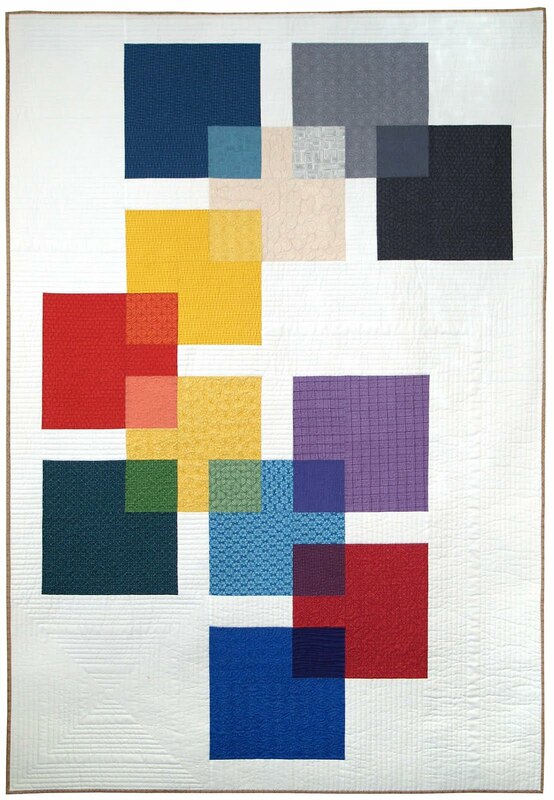 The quilt was based on traditional log cabin and New York Beauty blocks enhanced with simple yet effective machine quilting. Lisbeth Lizard won second place in the Mixed Technique - Small Quilt category. The background is made of canvas that was painted to resemble a stone wall. The flowers and leaves in the upper right corner, which resemble bougainvillea, were hand-dyed. Ruby says that the background was the biggest challenge for this quilt. The lizard is made with fabric collage. Ruby says that the collage was inspired by Susan Carlson. The lizard was enhanced with many decorative threads as shown above. Small lizards were stenciled on the canvas as shown below. Winner of Honorable Mention at the show, Maggie says that this quilt is her Arizona (Tucson) version of a Baltimore Album quilt. It was done on “copper” fabric rather than white or ivory, "because Arizona is the copper state." 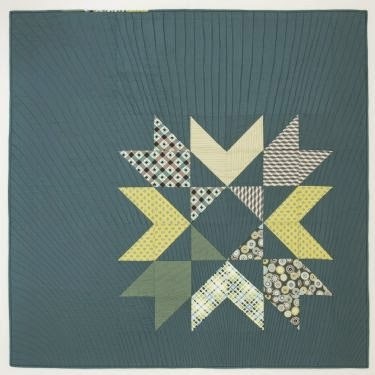 The blocks include some quilt basket patterns by Helen Frost. The center medallion shows the famous Mission San Xavier del Bac (the White Dove of the Desert) in Tucson. The block below features the javelina, which can be found in the desert and low mountains surrounding Tucson! Here is a pretty floral wreath surrounding a heart. William Morris (1834 –1896) was an English textile designer associated with the Arts and Crafts Movement. During his lifetime, Morris produced over 600 designs for wallpaper, textiles, and embroideries. Some of these elaborate designs have been translated into applique patterns by Michele Hill (William Morris in Applique and More William Morris Applique) and Rosemary Makhan (Floral Abundance: Applique Designs Inspired by William Morris). 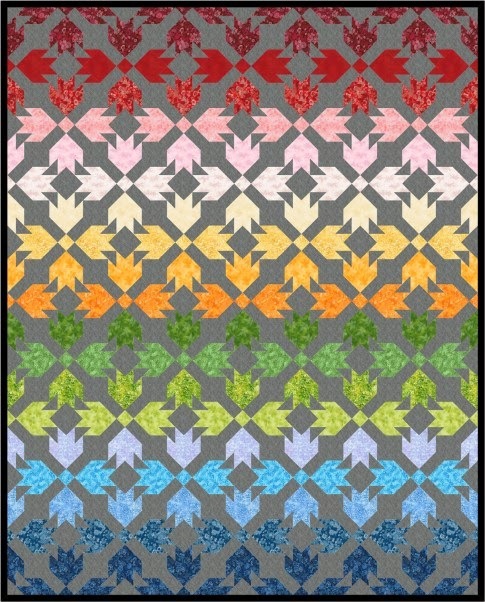 Here are some William Morris-inspired quilts! Mary explains, "I have always been intrigued with the Arts and Crafts Movement and the fabrics that were a part of that time. 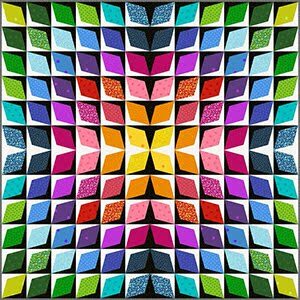 In recent years, there has been a resurgence of interest in the quilt world as well as the availability of many wonderful William Morris fabrics. I found a lovely, yet challenging pattern in the Arts and Crafts style that was a perfect fit with the fabrics I love." We really admired the excellent workmanship and the gracious symmetry of Mary's quilt. 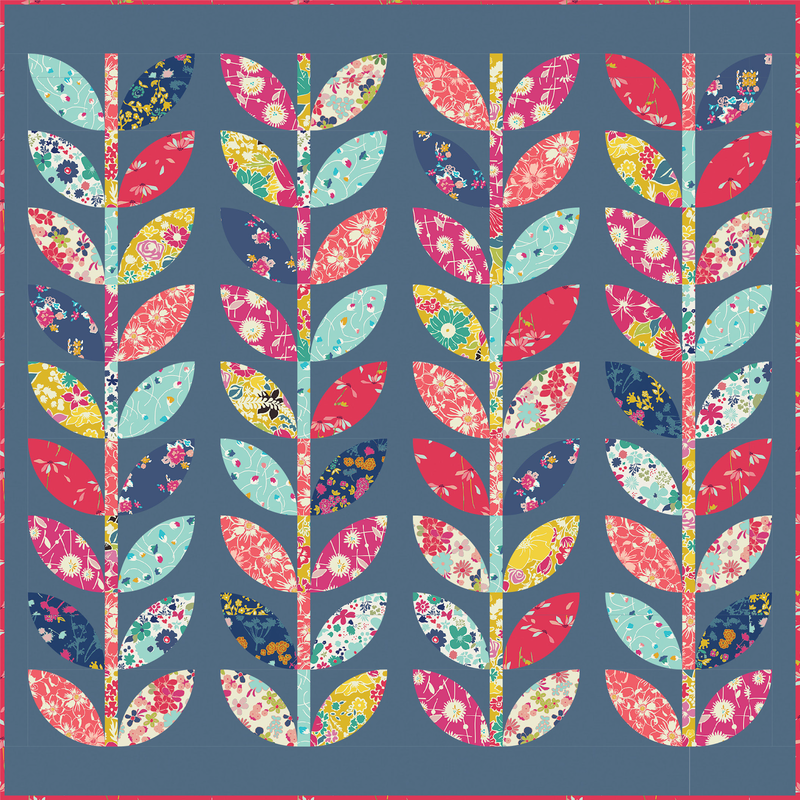 The pattern is from the book, Floral Abundance: Applique Designs Inspired by William Morris, by Rosemary Makhan. Mary continues, "I enjoy applique as well as piecing, and this pattern mixed the two so well with these fabrics. 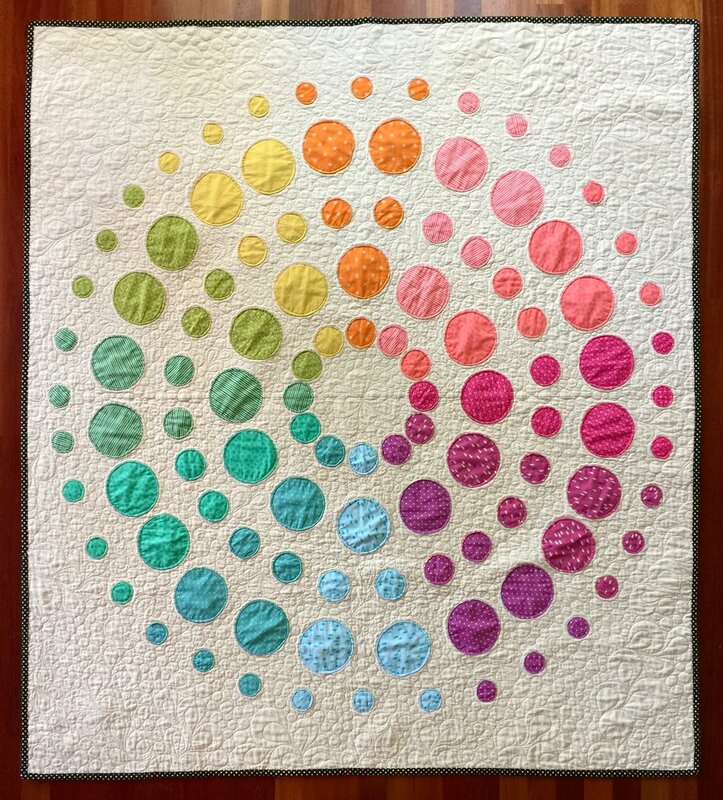 This quilt was a joy to create despite the time and challenges it presented." In this elegant center medallion, you can see how Mary's use of soft neutrals really enhances the elegant curved vase and the sophisticated curve of the twining leaves. 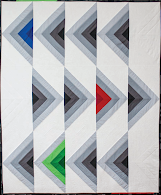 An Arizona Quilter Hall of Fame award winner, Catherine states, "Selecting fabrics for each block was a two-year quilting adventure. Hand embroidery gave the fused elements definition and brought this piece to life. " Catherine adds that her work was inspired by Picasso and DaVinci.The stunning center medallion is from the book More William Morris Applique by Michele Hill. Catherine has expertly rendered these fanciful flowers in shades of soft purple, pink, and green. Playful bunnies and birds add a springtime feel to what appears to be an enchanted garden. 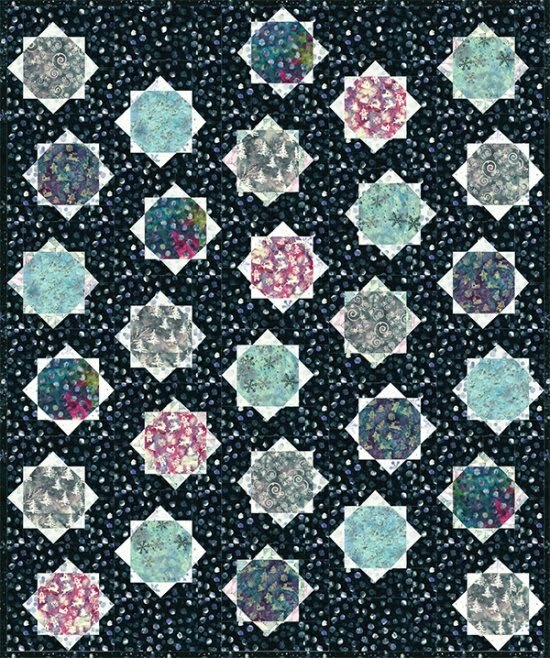 Blue-ribbon winner for "Best of Country" at the 2015 World Quilt Show, Diane writes, "Three books of William Morris inspired designs were used for this original quilt. 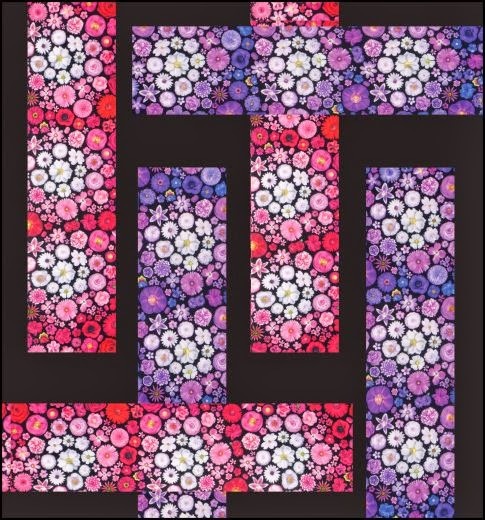 The center is from Rosemary Makhan's "Floral Abundance.". 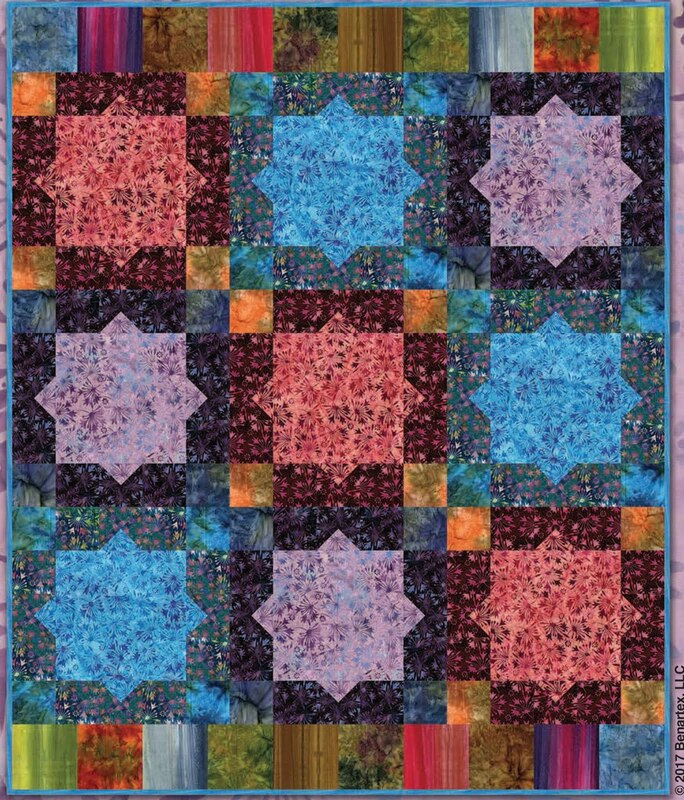 The other designs are taken from Michele Hill's books on Williams Morris applique." Diane continues, "I didn't use all traditional Morris fabics, preferring instead to try to see if I could give the design a different feel with a more modern choice. Metallic thread has been used to edge the applique and to give it sparkle." As a subject for a quilt challenge, "Wings" evokes images found in literature, art and our imaginations. It brings to mind butterflies, birds, bees and other winged creatures that enliven our skies. 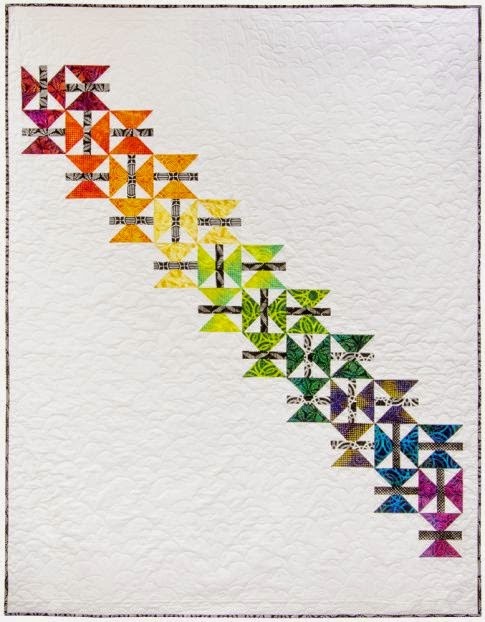 In compiling the collection, we were inspired by the Quilters' Innovative Design challenge at the 2015 World Quilt Show, but we've included several other fabric art works featuring Things with Wings. 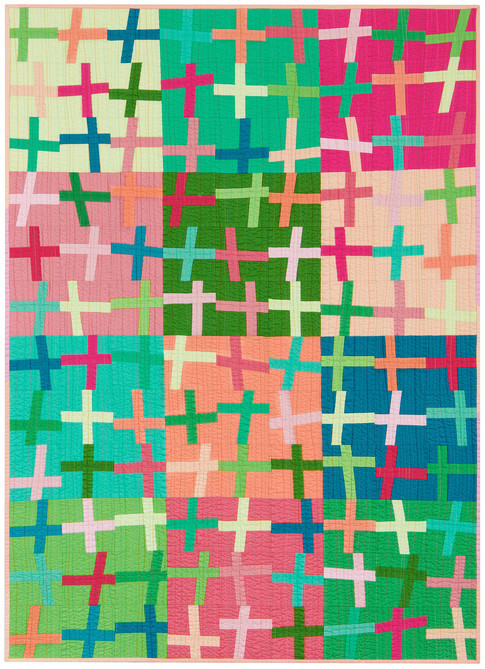 Butterfly - Barbulètè was exhibited in the International category at the 2015 World Quilt Competition in Florida. 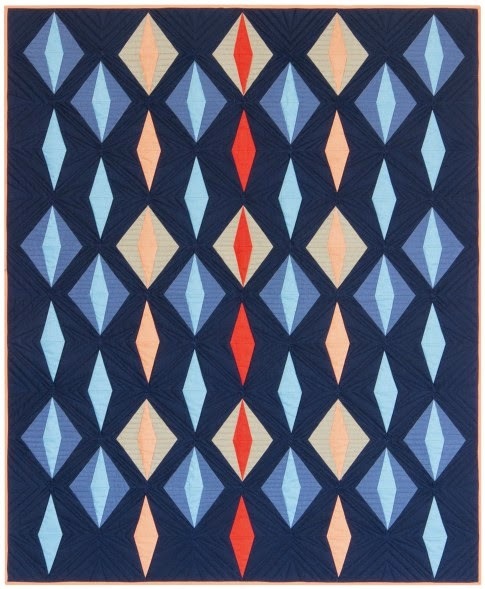 Lucia Schnog says, "[The quilt was] inspired by the blooming of the Ixora – or “Faya Lobi” in our native Papiamentu. It attracts lots of beautiful butterflies." The butterfly wings were hand appliqued. The creative, knitted flowers really stood out in this creative piece. Their color perfectly matches the Ixora flowers that inspired the piece. The large embroidery stitches (upper left) add texture to the leafy forms. In the upper left you also can see the beading on the butterfly's eye. 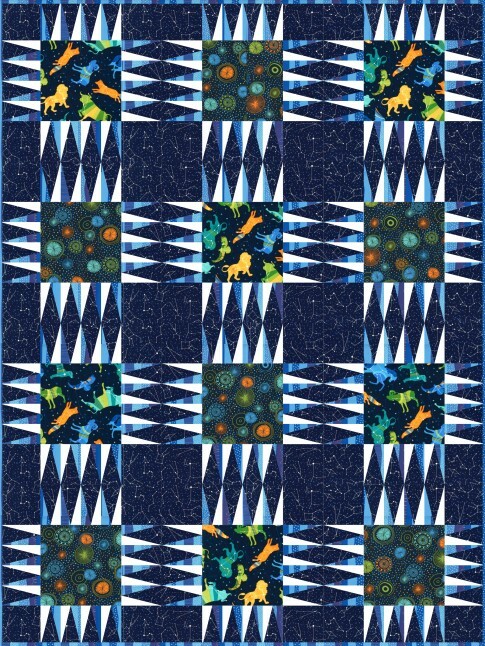 Magical Wings was exhibited in the Quilters' Innovative Design (QID) "Wings" challenge. 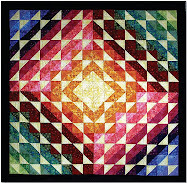 QID is an advanced art quilt group in Florida. The intricate pattern of the butterfly wings reminds us of a stained glass window. The iridescent look of the wings was created with metallic threads and yarn which can be seen in the close up photo below. 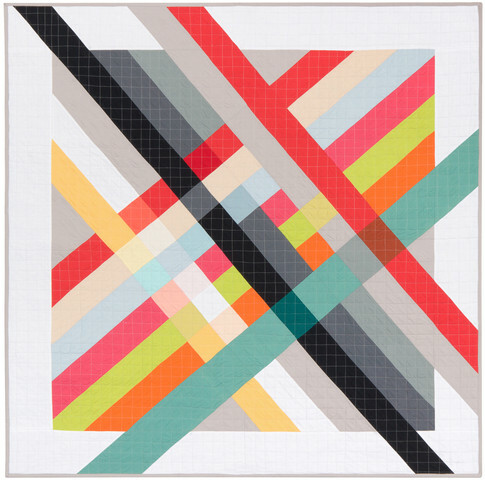 Candice Phelan is also a member of Studio Art Quilt Associates (SAQA). You can see more of her beautiful work at her website, Fiber Art Vision. 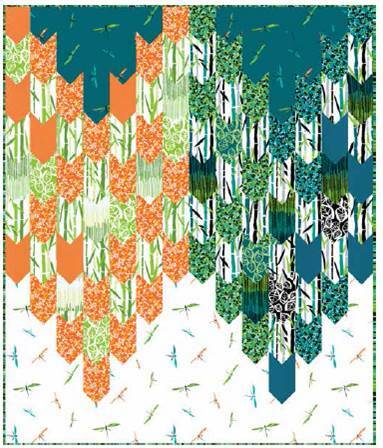 Butterfly Ballet has a modern, graphic appearance, which we really enjoy. The depiction of butterflies in shades of gray really emphasizes the shape, structure and design of the various butterfly wings. Some of the shading was created with applique, while other "spots" were created with stitching, as shown below. 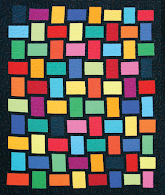 The incredible applique work, fanciful stitching and embroidery really stand out in this colorful quilt by Martha Nordstrand. 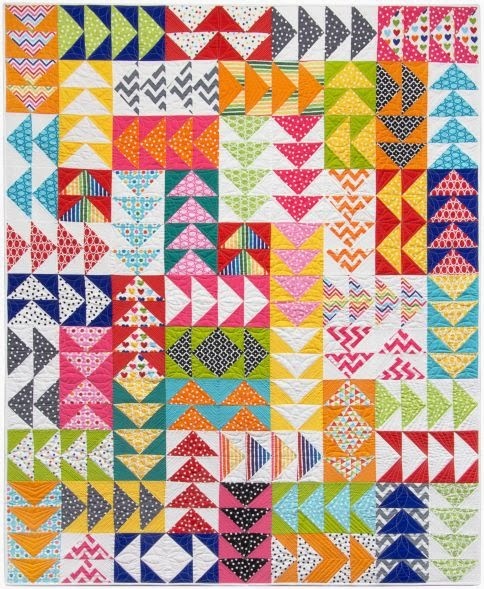 She says, "This quilt is a combination of Mola-like birds decorated with embroidery threads using many types of stitches. It is my version of a Crazy Quilt Mola-Style!" 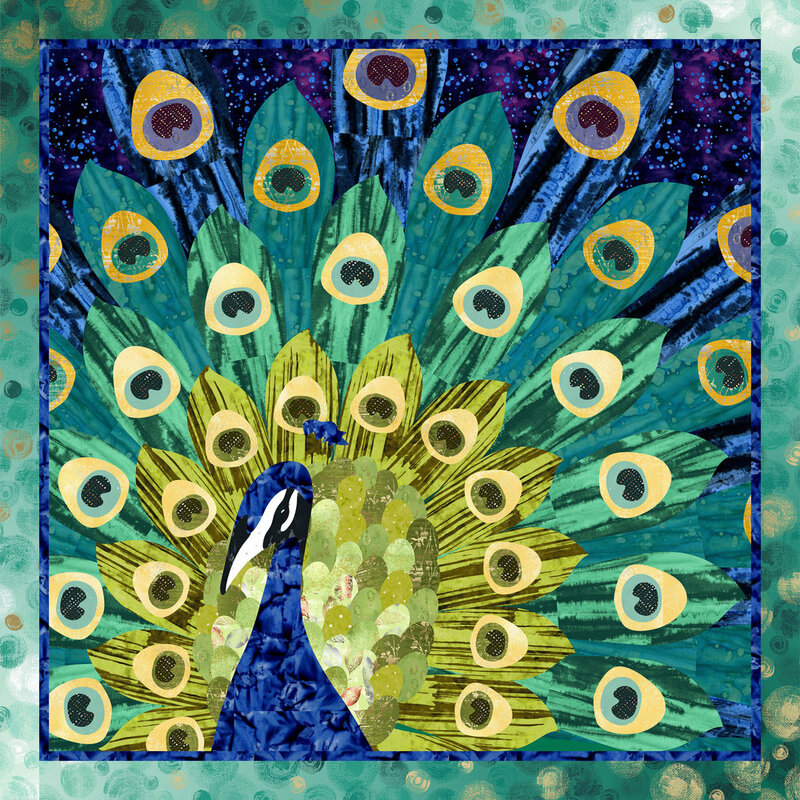 Martha Nordstrand is an award-winning quilter and teacher who has developed her own method of detailed applique. 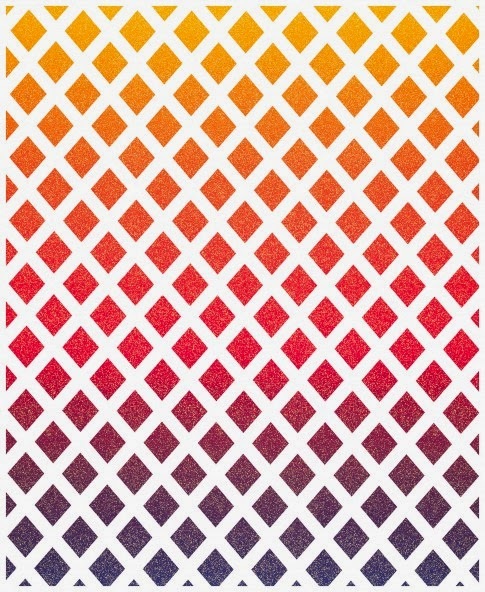 You can find more information about her technique, along with galleries and pattern books, on her website: More Quilts Please. 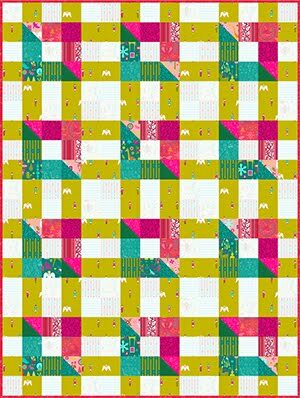 This bright tropical quilt was inspired by Judith's many trips to Hawaii. She says, "I combined two of my painted scarves and then added other tropical elements, such as butterflies and hummingbirds... It was a delight to create a high desert dweller’s version of a spring: a green, fertile, busy blooming tropical paradise." This quilt was hand painted, stenciled, stamped, and machine quilted. 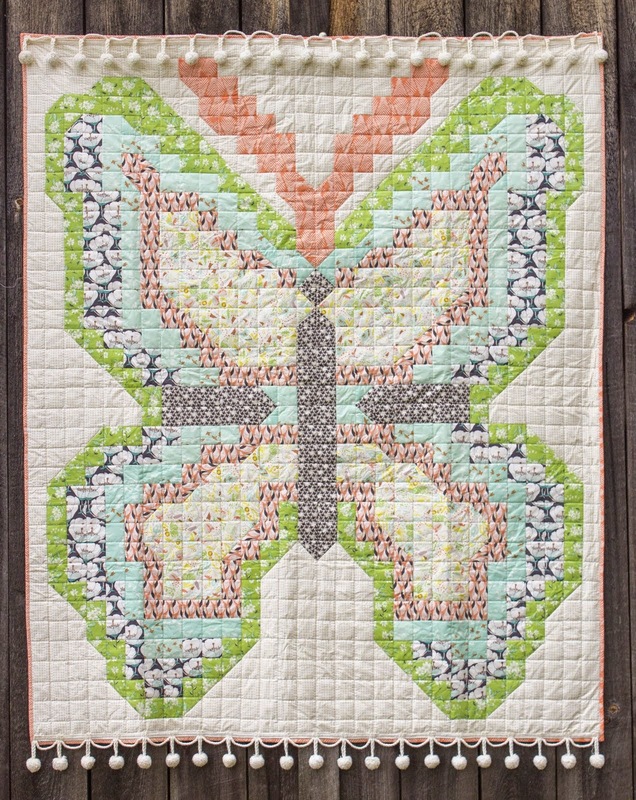 We love the colorful buttons that decorate the butterflies and border of this quilt. 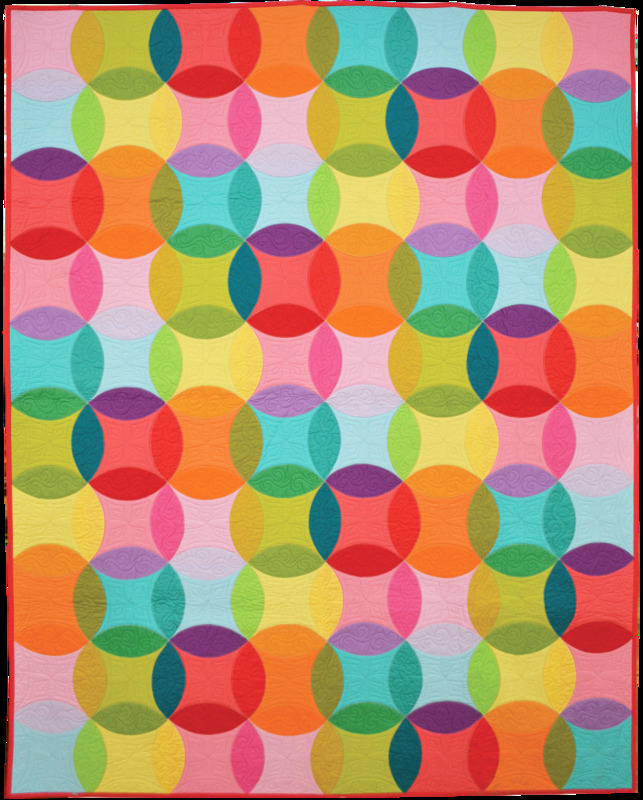 Judith explains, "The rainbow-blended border of this piece gave me the opportunity to use every possible color of button that I had." 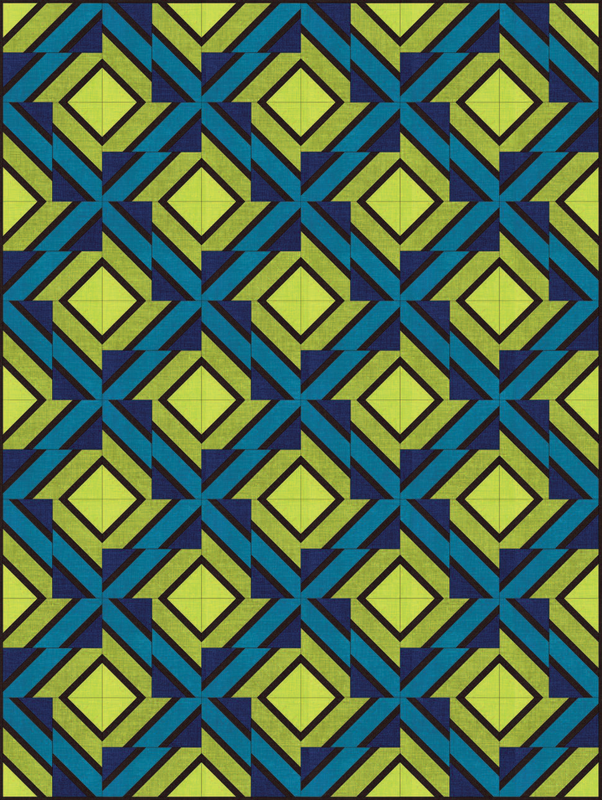 Toby says, "This is my second quilt inspired by Escher’s technique of tessellation. I am intrigued by how the birds fit together like a jigsaw puzzle. By using different shades of gray and white, I was able to make some of the birds hide in the background, until you get close." In this close up you can see the tessellation, along with the quilted wings, whimsical expression and yellow beaks on the birds. 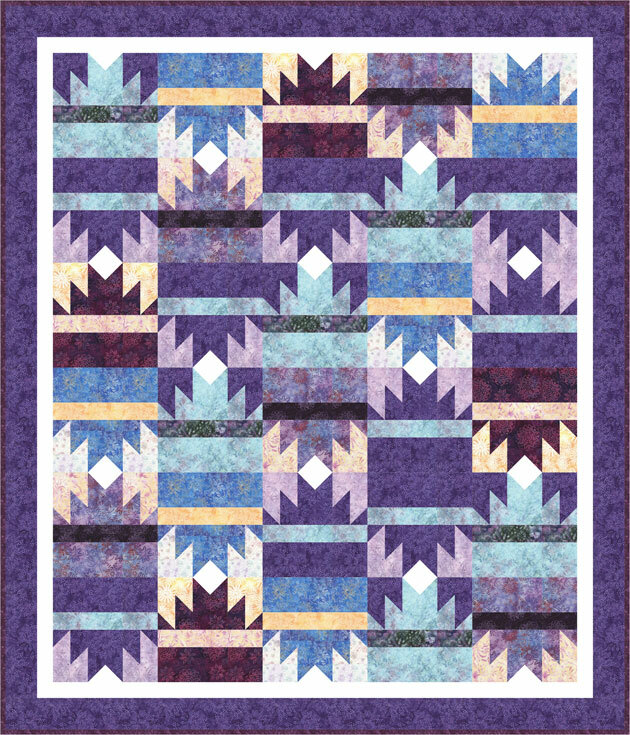 The background was quilted in a chevron design, which sets off the birds around the edges. 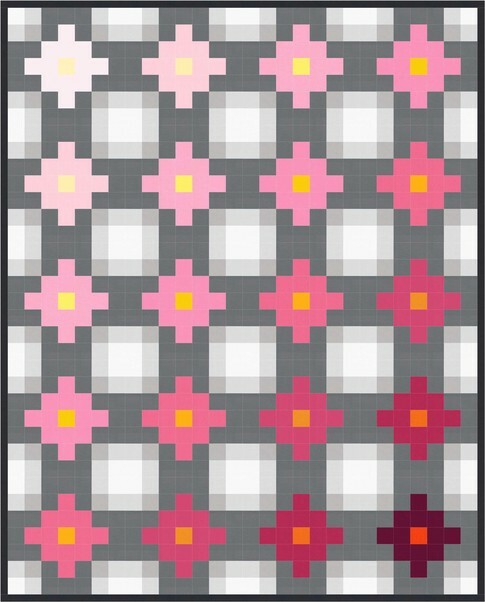 This quilt was exhibited in the Shades of Gray quilt challenge at the 2015 Florida quilt show. This huge bee is definitely larger than life! 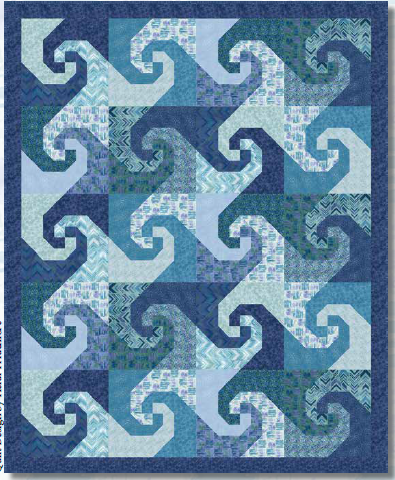 This wonderful quilt was inspired by a photo taken by Barbara Kilbourn’s daughter, Anna, in Florida. Barbara loved the way the bee was curled around the flower. We love the orange and black pattern on the bee's body, the use of batiks for its head and legs, and the quilted pattern on the wings. 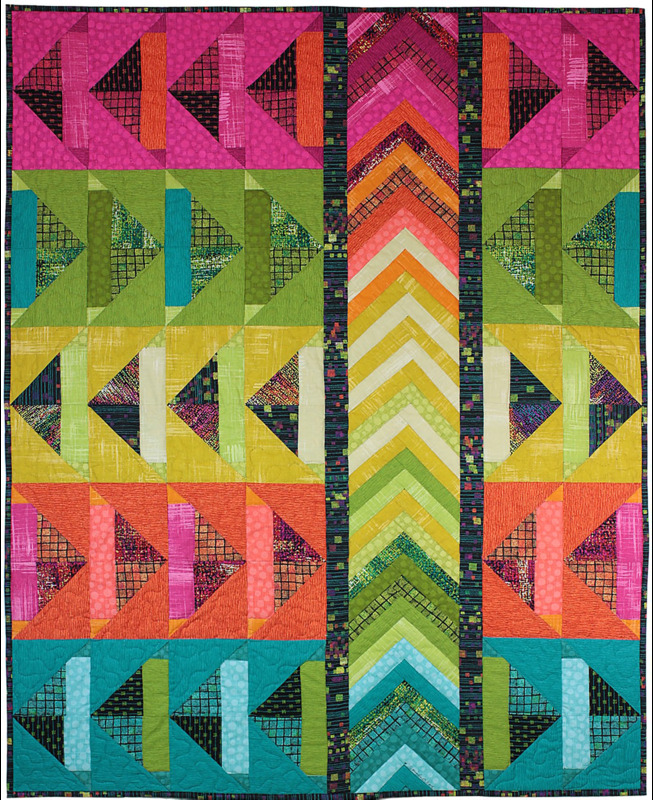 Image credits: Photos were taken by Quilt Inspiration at the 2015 World Quilt Show (Lucia Schnog, Candice Phelan, Barbara A. Stewart, Toby Gluckstern); the 2014 Road to California (Martha A. Nordstrand); the 2014 AQS quilt show (Barbara Kilbourn); and the 2013 Houston IQF (Judith Roderick). March is the month of St. Patrick's Day on the 17th and the Spring/Autumnal Equinox on the 21st. In the Northern Hemisphere, it's the month where the trees and plants of the earth start to grow new leaves. 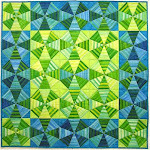 In honor of March, here are quilts from around the world in beautiful shades of green. Third place winner in the Wall Quilts category at the 2014 Pacific International Quilt Festival, Susan writes, "From the earth and back again, the tree represents all of life and its continuous journey." The leaves and trunk of this tree are designed as a beautiful , eternally looping Celtic knot, without beginning or end. You can see that a Celtic knot is even quilted into the background of Susan's intriguing and eye-catching work. 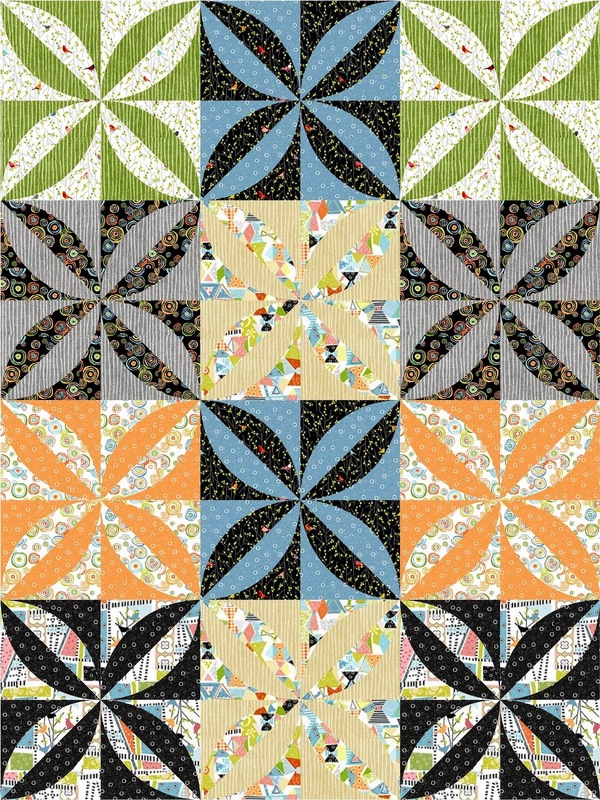 Marijke notes that the inspiration for her quilt is small city gardens, which make the city a better place to live. 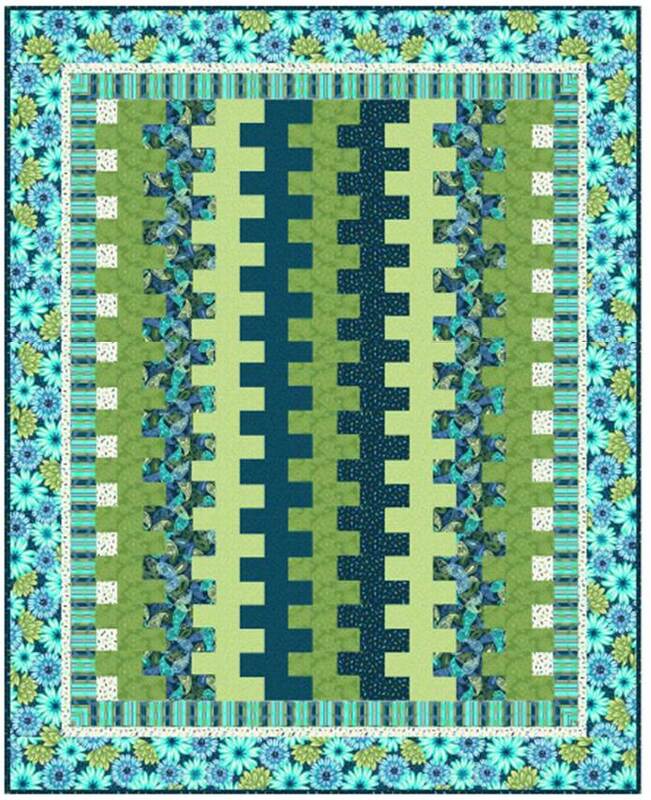 Done in a traditional barn-raising pattern with green and blue shadows, this quilt looks like an assortment of vegetable plants taking root in the early spring soil. 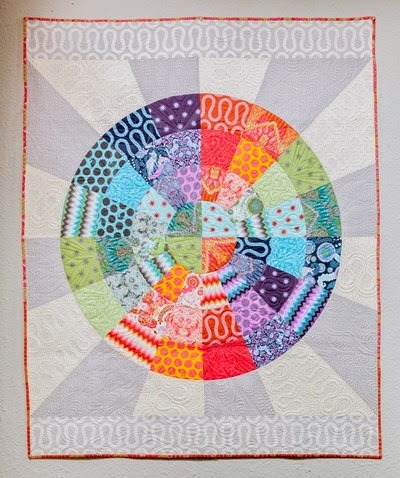 To create her original design, Marijke used machine piecing, textile paint, machine applique, and free motion machine quilting. 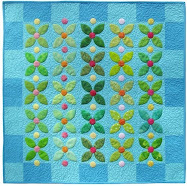 Look at the interesting three-dimensional green leaves which hang off the right hand border. It almost appears as if a magical vine is growing on the side of the quilt. Sandra explains, "The passion for the tree at the entrance of a friend's house was immediate. I used to walk under it, stopping to admire its trunk and canopy, which against the sky, seemed to me was made of a green lace. It was a giant Guapuruvu tree. Someone that has had the opportunity to be under one of those can imagine my indignation when I stopped by to admire it and faced a severed wonder, drastically trimmed without a fair reason. I was there, paralyzed, astonished, trying to understand what had happened...And, that image never left my mind ever since. " 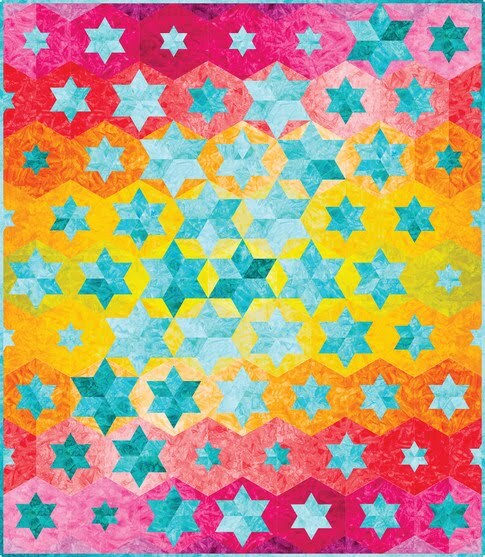 Ephemeral Nature was exhibited in the special SAQA Brazil Trunk Show at the World Quilt Show in Florida. This was the first time that this show has traveled outside Brazil for presentation. Sandra has created this feathery, wispy tree using transparent fabrics and thread painting, so that light and shadows can be seen shining through the back of the quilt. Gisha notes, "The inspiration for this work is flowering in the spring. Blossoming flowers in many colors. Poppies in red, cyclamen in pink, groundset in yellow, iris in blue and purple, anemones in blue, purple and pink." Gisha's work has a bright, scrappy, very cheerful look to it, almost like a field bursting with wildflowers. Her work is machine pieced and machine quilted. Gisha adds, "[This is] a feast for the eyes and heart." Tanya constructed this spectacular quilt to symbolize a beautiful landscape scene from her homeland. 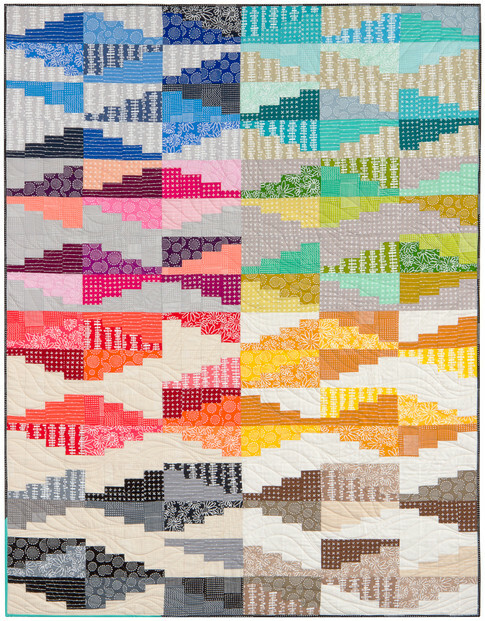 She notes, " A recent trip throughout our own "high country" of Victoria (Australia) inspired this interpretation of Eileen Wright's bargello quilt 'Island Surprise.' The beautiful green palette was singing against the crown of snow-clad heights. I felt I needed to express this in fabric to create a lasting memory." 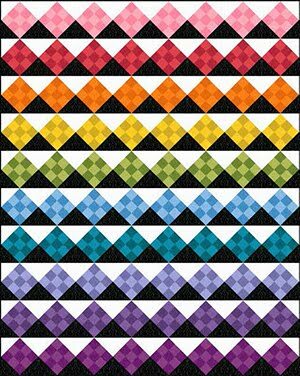 The Island Sunrise pattern is in More Twist and Turn Bargello Quilts by Eileen Wright. Tanya continues, "The glorious winter green of ferns, mosses, lichens, brackens, and gum trees in hidden places are fed by creeks and waterfalls, crowned by... snowy [mountain] peaks." Image credits: Photos were taken by Quilt Inspiration at the 2014 PIQF show (Tree Full of Life) and the 2015 World Quilt Show. International Women's Day (March 8) first started about 1910 in northern Europe and the U.S.A. as a tribute to women in the labor force. In 1977, the United Nations adopted a resolution commemorating a day to celebrate women's rights and international peace. To our quilting sisters and to all women around the world, we say thank you for all the hard work that you do and thank you for all the ways which you make such a meaningful contribution. Blossoms, A Tribute to Women in Fabric by Peggy Fetterhoff, Texas, U.S.A.
Peggy writes, "Traditions in America's melting pot are about change. As each ethnic group is integrated, women blossom with the knowledge that they can be anything they want to be. Cultures are merged, creating new traditions." 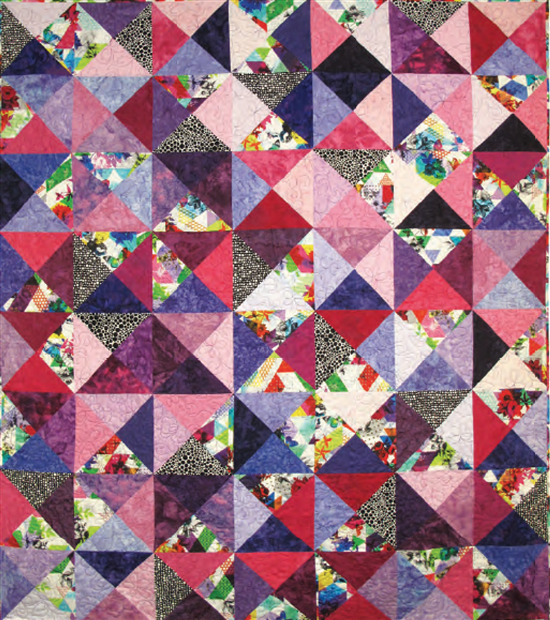 Peggy's quilt is made with a large collection of fussy-cut fabric images of women created by textile manufacturers. Below, are close-ups from Peggy's quilt that feature many different facets and faces of women through the years. Although some of these images are whimsical, we think they exemplify the many different roles that women have taken around the globe throughout history. 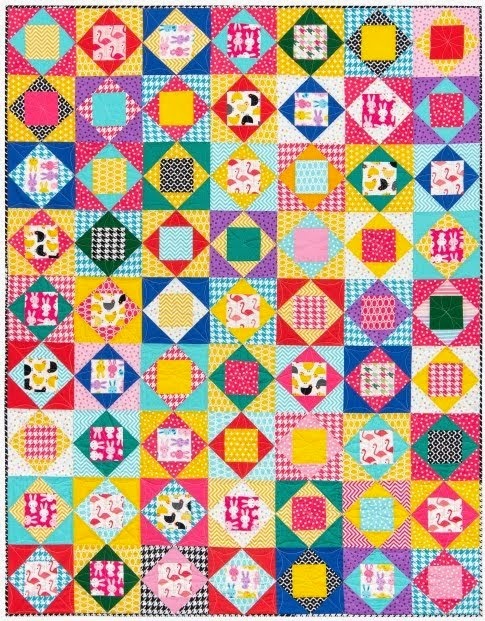 Within the world of quilting, an entire genre is thought of as folk art quilts (see Pinterest). 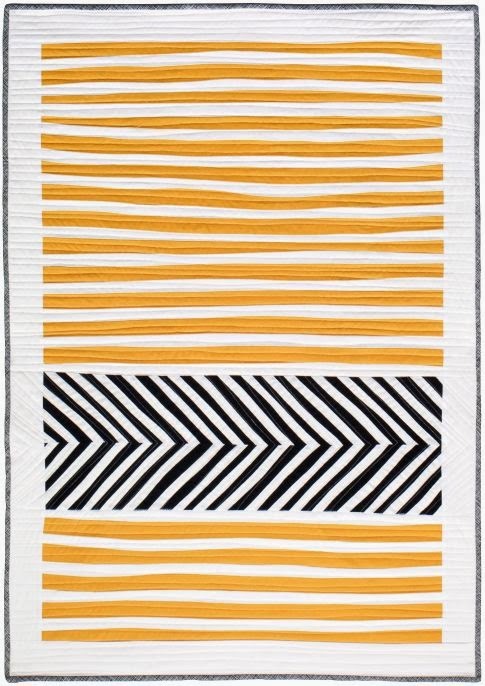 Sometimes these quilts have a primitive country style, featuring simple shapes, often done in wool (think: penny rugs). 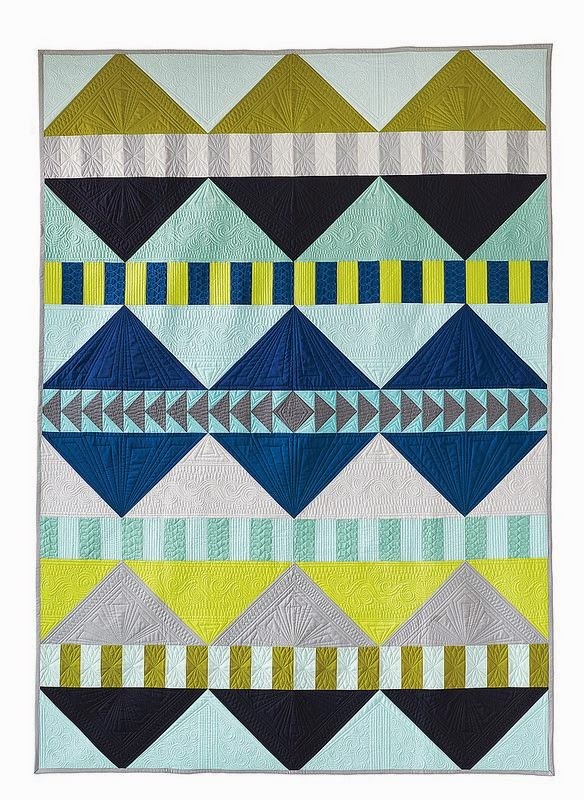 The quilts we're featuring today, however, are more of a fusion between new and old: they have more stylized designs, fancy quilting, and contemporary colors. We're liking this trend! Summer Truswell says that bright colors make her happy, and the more the better. 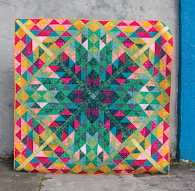 The basis for this quilt is the Flea Market Treasure quilt pattern from Scrappy Firework Quilts: A Blast of Strips, Scraps and Triangles by Edyta Sitar. 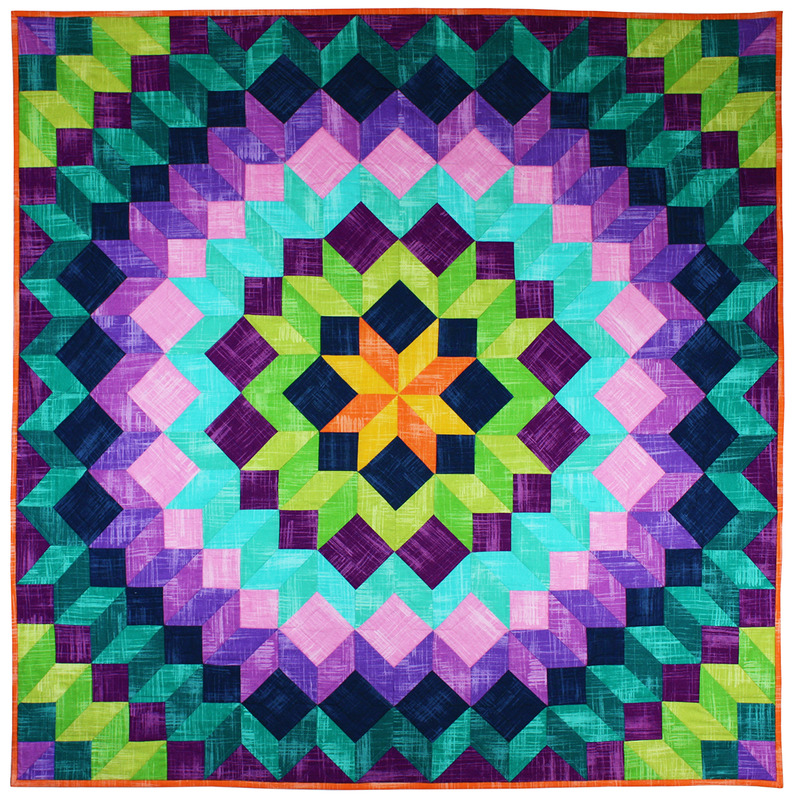 As she did the quilting, Summer pictured nighttime in a garden with a bright star overhead. 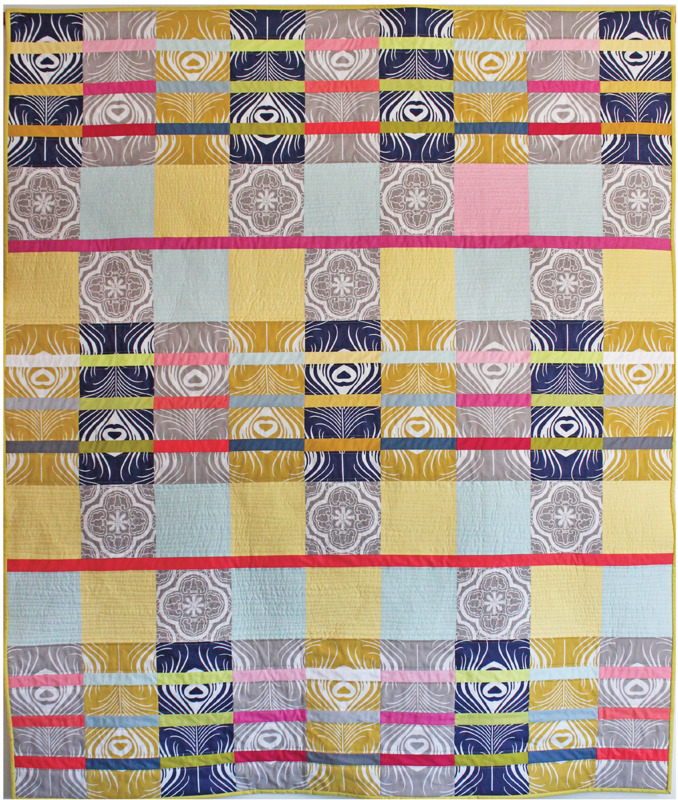 The Kaffe Fassett Collective fabrics really stand out against the black background in this photo. Inspired by a Sue Spargo class, Karolyn designed her own flowers and birds and used her own hand-dyed wools, silks, and velvets to create this piece. 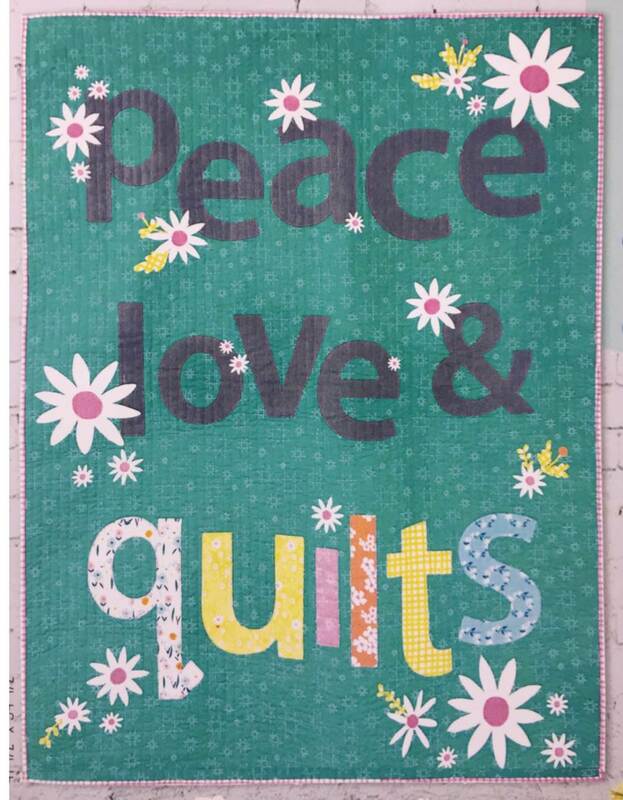 The description says, "Karolyn no longer has her sweet dogs, so she made this quilt as a reminder of them." In this photo you can see quail, coneflowers, thistles, and birdhouses along with the white dogs. 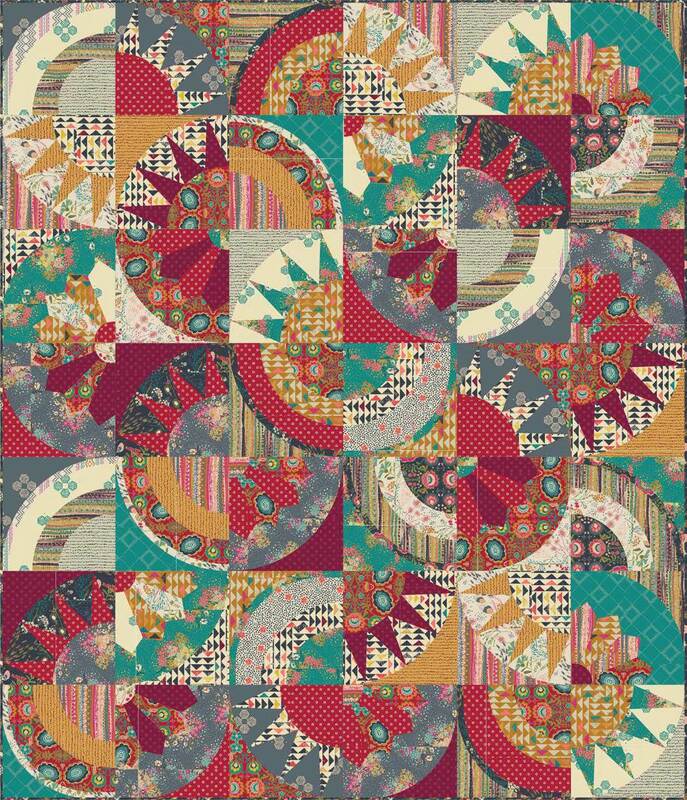 We admired the great color scheme, beautiful applique and machine quilting. 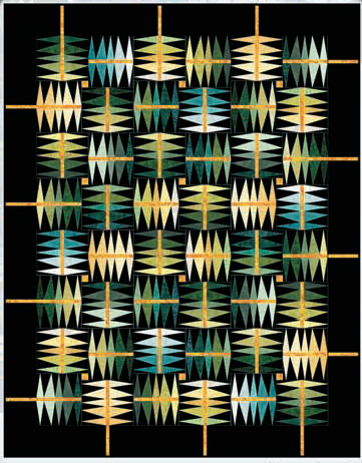 It also was awarded Speaker's Choice by Laura Wasilowski at the 2013 Tucson Quilt Fiesta. 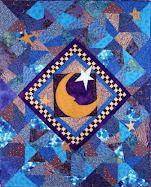 After The Rain was the winner of a blue ribbon in the Appliqued - Hand Quilted category at the 2014 Tucson (Arizona) Quilt Show. 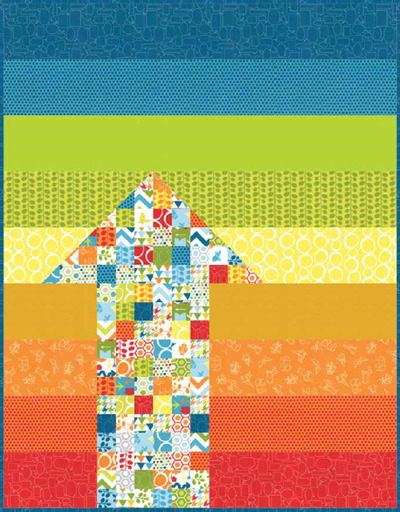 Janet Rupp used hand applique, embroidery and hand quilting (see the photo below). 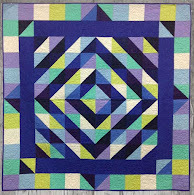 The pattern is by Nancy Landon at Cactus Quilt Shop, and Janet modified the center and border. She says, "Because the pumpkin background was so dark, it was fun exploring the same colors on a light background." Janet's beautiful hand embroidery outlines the applique shapes and decorates each of the elements in the quilt. She says, "Please note the motifs outlined with embroidery suggesting back lighting." 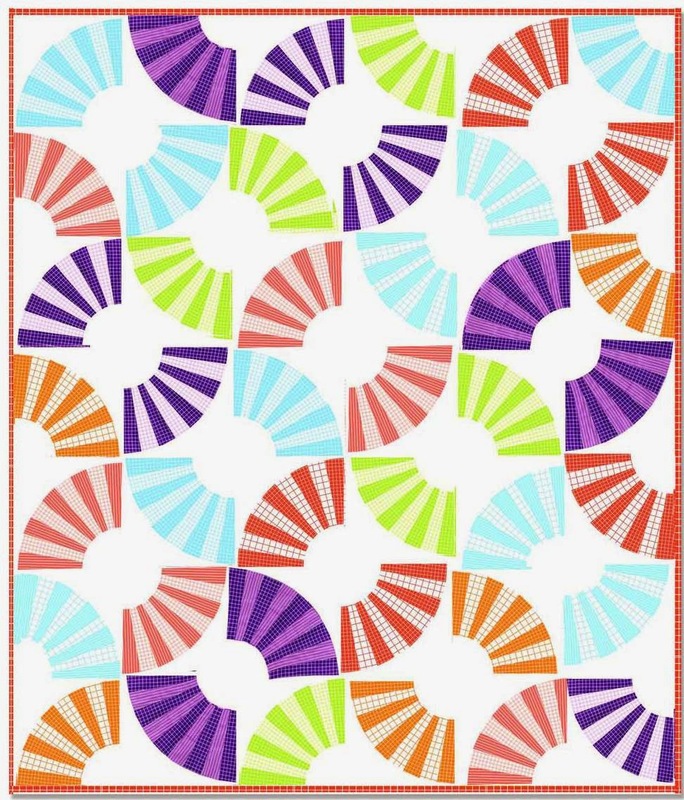 Linda explains, "I saw this pattern and fell in love with it. It is from the book Flowerbed by Sue Spargo. She does most of her patterns in wool with lots of stitch work. 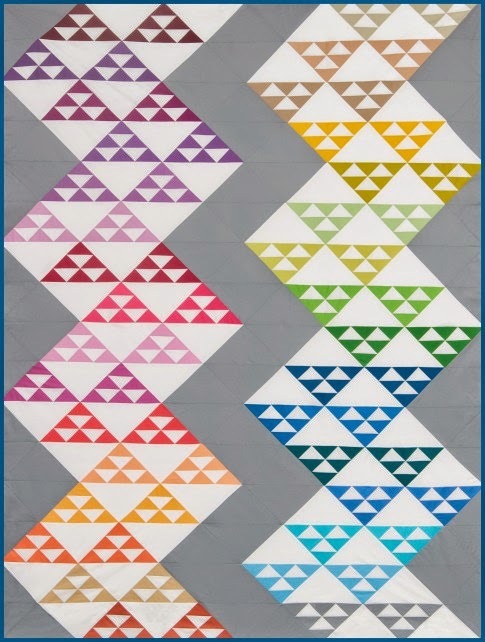 I redrew the patterns in quilt block sizes and made it all with cotton quilting fabric, using hand applique. I am pleased with the results. Hope you like it too." We really enjoyed this whimsical, magical pattern with the polka-dotted hearts and flowers. 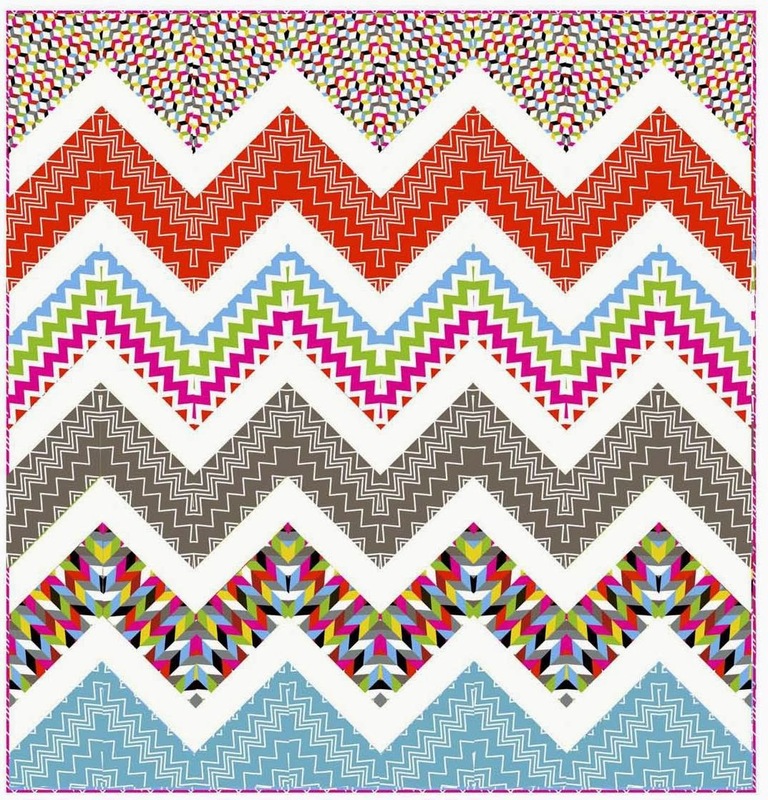 The sky is really the limit when deciding which fabrics to use with this highly imaginative design. 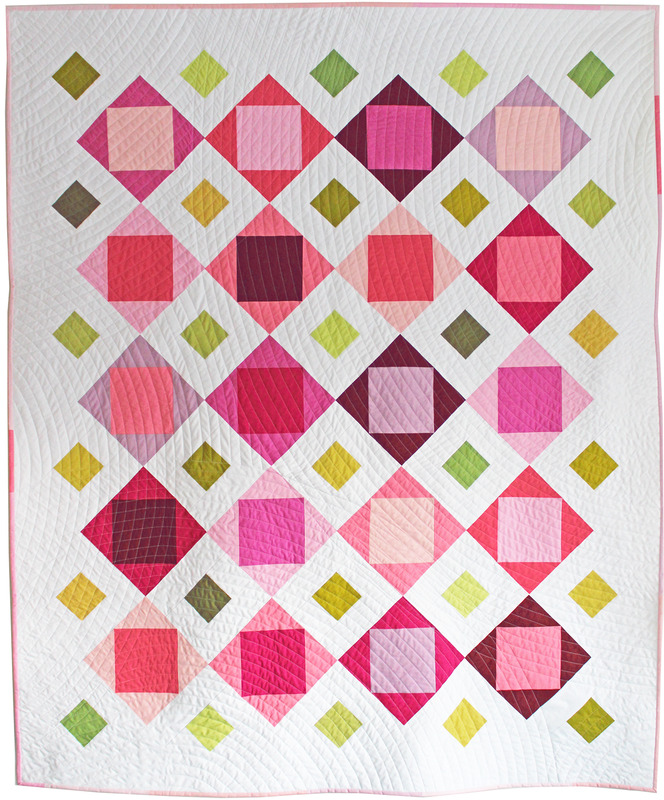 Julia explains, "This was the first quilt that I have made with wool applique. So much fun. Love all the beautiful colors and textures. Everyone who appliques should try it. You will be hooked." 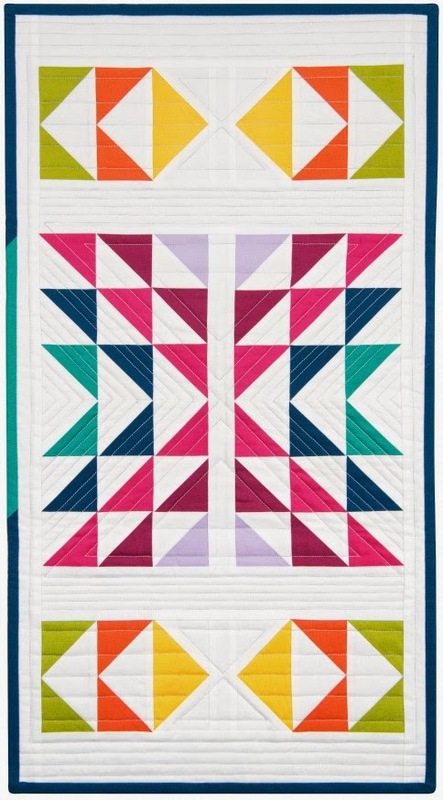 A lovely block-of-the-month pattern, this quilt has colors in it for everyone. Both springtime and autumn motifs are perfectly blended. What a great project to do while waiting for spring and summer to arrive. 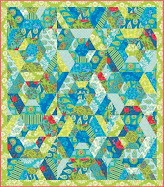 Julia's design source is "A Primitive Garden" block of the month pattern by Primitive Gatherings. This really makes us want to go shopping for some fun flowers to plant in a pot by a sunny window, balcony railing, backyard patio, or just about anywhere. Here's a darling assortment of baskets, with all the letters of the alphabet spilling out of the eleven large baskets in the quilt's center. Some of the baskets were created by weaving bias strips. These are surrounded by 26 pieced basket blocks in the border. 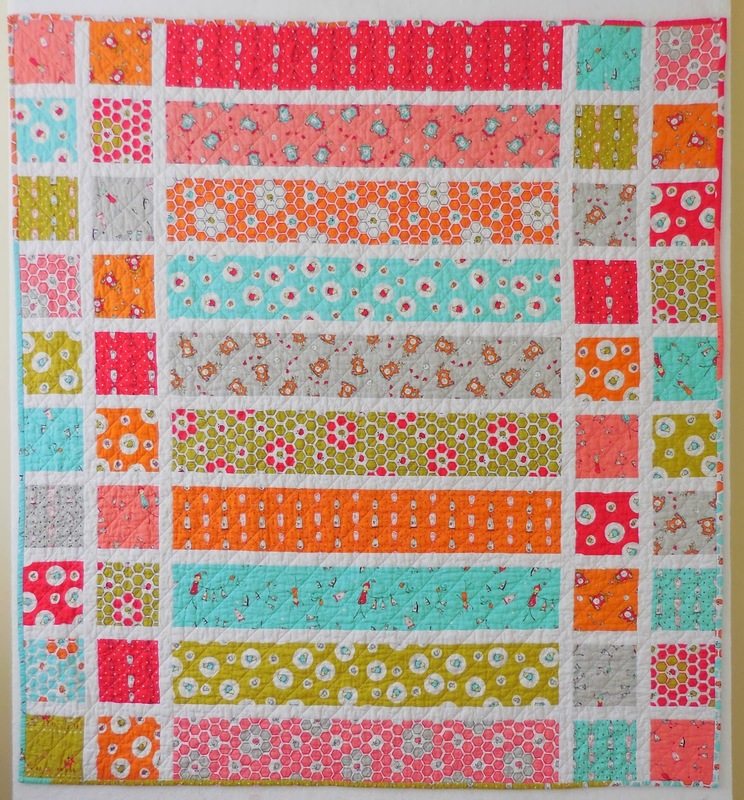 The scalloped border with blanket-stitched circles can be seen in this photo, along with triangular prairie points attached with hand-covered buttons. Janet used colorful beads and buttons to create a look of cozy, homespun embellishment to her original design. The baskets on the right-hand-side of this photo were embellished with letter beads. For this charming creation, Janet used cotton fabrics, cotton, polyester, and silk threads, plus wood, metal, plastic, and glass embellishments. Her techniques include machine piecing and quilting, machine applique, hand sewn and hot fixed embellishments, and hand-covered buttons. We especially love the curly, fluffy sheep in this close-up. 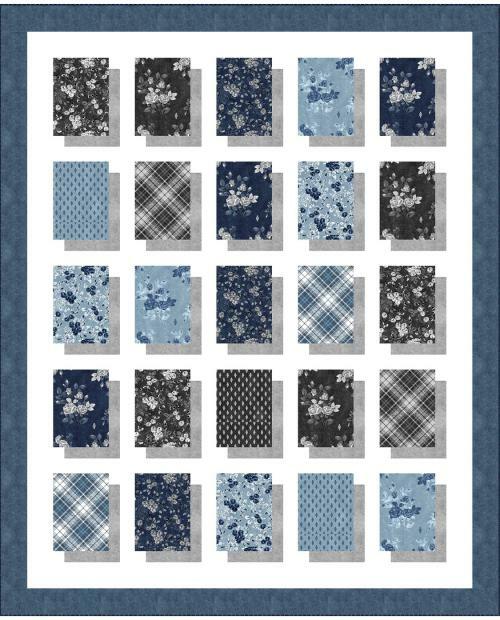 Letter Carriers was featured in the Award Winning Quilts 2015 Calendar (Martingale). 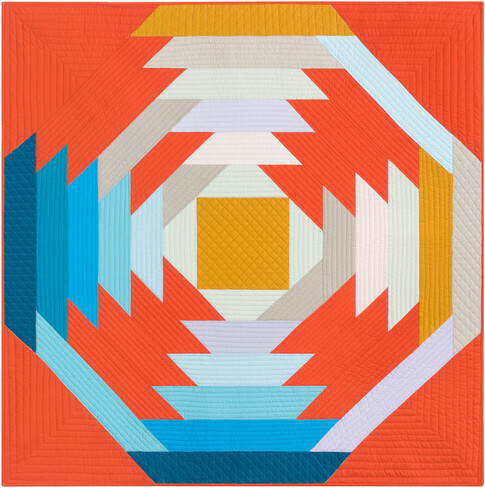 Second place winner in the Whimsical Quilts category at the 2014 Tucson (Arizona) Quilt show, Karolyn notes, "My maternal grandmother was a very determined and hardworking woman. She had an amazing teacup and saucer collection. Her beautiful cups were all different sizes, shapes, and colors. This is my original design. I hand dyed the wool." Two cute pink teapots cheerfully adorn the upper corners of Karolyn's quilt and stand out well against the chocolate brown border and background. The color combination of lime green, mauve, periwinkle, and chocolate brown is an unusual one, but it works well here to highlight the teacups and teapots. The chartreuse trim is crocheted lace. These pretty spring blossoms seem to playfully dance around on this cheerful teacup. From a distance, the placemats have an appearance of being braided together. However, close up you can see that they are actually quilted in a single feather design, which gives them the braided appearance. Image credits: Photos were taken by Quilt Inspiration at the 2014 AQS and the 2014 Tucson Quilt Show. Letter Carriers was photographed at the 2013 Houston IQF.